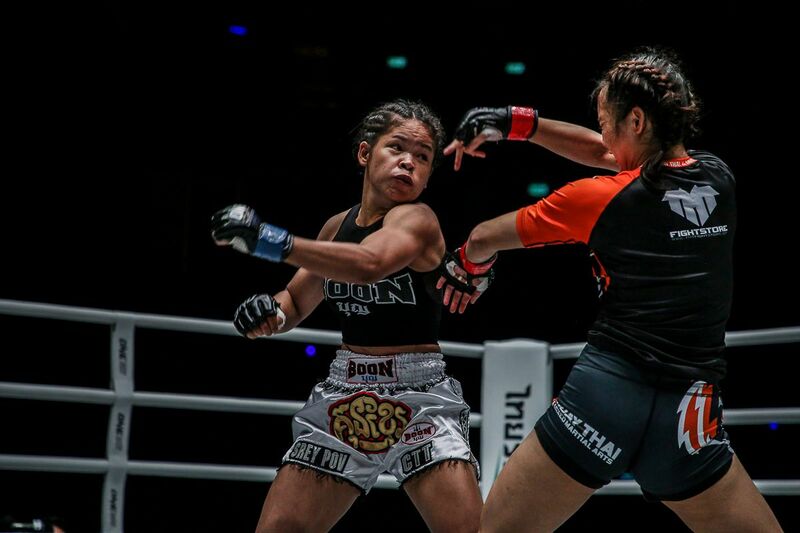 ONE Championship opened 2019 with a fantastic 12-bout card in Jakarta, Indonesia on Saturday, 19 January, and the martial arts heroes were revitalized and ready to kick off the new year in style. Fans inside the Istora Senayan saw some thrilling performances and epic finishes at ONE: ETERNAL GLORY from some well-known superstars, as well as fresh faces looking to make their name on the global stage for martial arts. Here are the top five highlights from the event, which kickstarted a record year for the world’s largest martial arts organization. 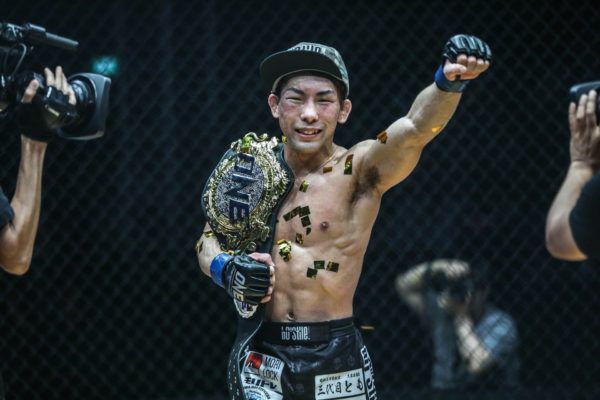 Yosuke “Tobizaru” Saruta has gone from promotional newcomer to ONE Strawweight World Champion in little more than a month. 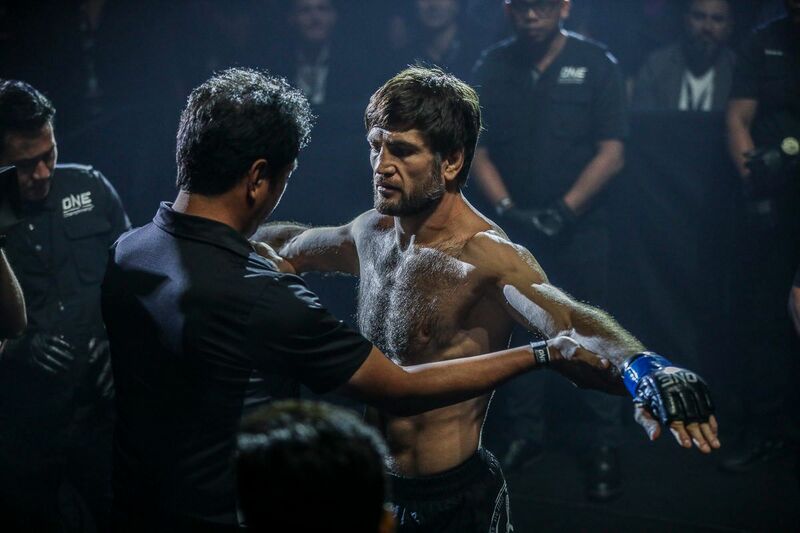 His impressive debut over Alex Silva on 7 December earned him the title shot, and he made the most of the opportunity in Jakarta. In his first World Title defense, Joshua “The Passion” Pacio threw everything at the Japanese challenger. However, despite landing with some spinning attacks, he could not bend his will. Saruta pressured the Team Lakay man with his unyielding wrestling and ground offense, which constantly had the Filipino on the defensive. Pacio did well to scramble to his feet to try and work his striking game, but it was not enough. After 25 minutes of nonstop action, two of the three judges cageside scored the bout in Saruta’s favor. 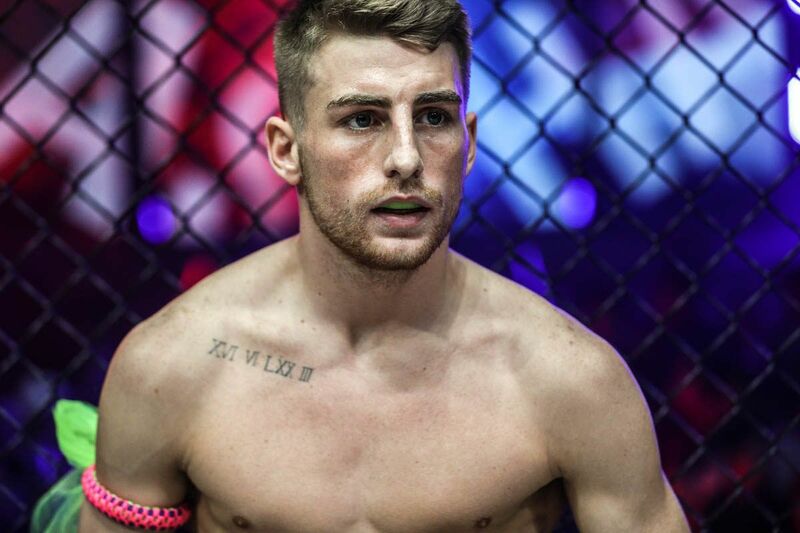 He is the latest strawweight king, in a division where the competition is rife and holding on to the belt is no easy feat. Christian “The Warrior” Lee wasted no time at all in taking redemption against Edward “The Ferocious” Kelly. After suffering a loss via disqualification because of an accidental foul in their first encounter at ONE: BEYOND THE HORIZON four months ago, the Singaporean was eager to right his wrong. Lee came out of the blocks quickly, and he immediately took Kelly to the mat. He controlled the bout on the ground, where he threatened with submissions and strikes. Ultimately, it was the relentless ground and pound that earned him the first-round TKO. With this win, “The Warrior” kept his 100 percent finishing ratio intact. 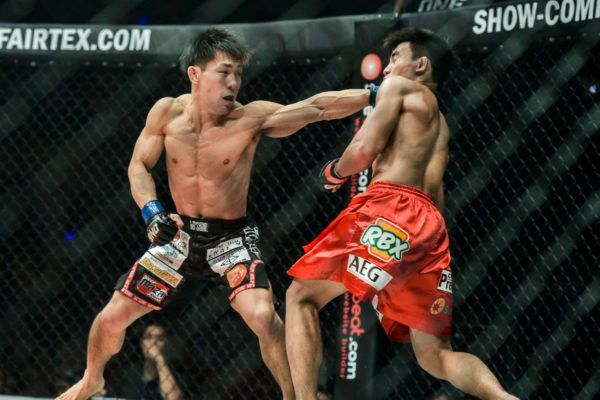 More notably, he claimed the record for the most stoppages in ONE history with 11, and also equaled Kevin Belingon, Eduard Folayang, and Amir Khan’s record for the most victories in The Home Of Martial Arts. 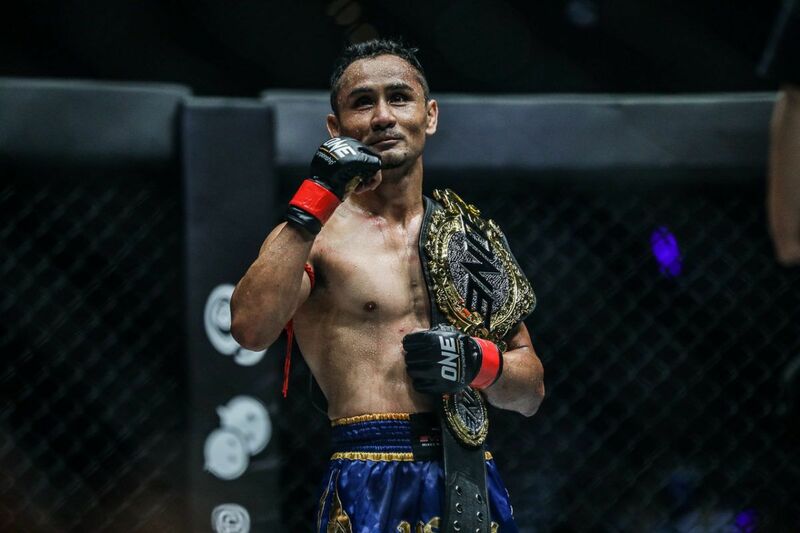 Muay Thai stylists Jonathan “The General” Haggerty and Joseph “The Hurricane” Lasiri went back-and-forth in a thrilling three-round ONE Super Series flyweight encounter. The Brit dominated the opening round as he connected with picture-perfect kicks and sharp elbows. He ended the first frame with a stunning downward elbow that dropped “The Hurricane,” but somehow, the Italian managed to recover. Lasiri launched a remarkable comeback in round two, and landed hard punches and a flying knee, but “The General” kept his composure and continued to drill his foe with kicks and elbows. The judges rendered the unanimous decision in favor of Haggerty, but Lasiri also won new fans thanks to his incredible heart and warrior spirit. Anthony “The Archangel” Engelen entered ONE: ETERNAL GLORY in fine form after he picked up back-to-back victories in quick succession at the tail-end of 2018. He wanted to keep that momentum going in front of his compatriots, but South Korea’s “Pretty Boy” Kwon Won Il stayed true to his word in his first ONE battle. Ahead of the contest, Kwon predicted his powerful right hand would be his key to victory, and he was proved right. He dropped “The Archangel” with a thudding straight punch, and then sealed the deal with two more shots to his grounded foe. “Pretty Boy” extended his perfect record to 8-0, and has put the featherweight division on notice. 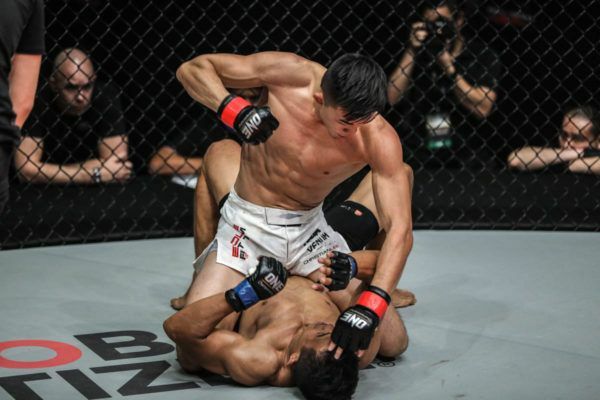 Jakarta’s own “The Terminator” Sunoto had the raucous crowd on his side, but this did not deter Niu Kang Kang in his debut on the global stage for martial arts. The 22-year-old Chinese athlete made the first decisive move of the 68-kilogram catch weight contest, and it was a left head kick that landed perfectly on the Indonesian’s chin. One shot was all Niu needed as his shin separated Sunoto from his senses and earned him a clean KO victory after just 31 seconds. The Dragon Warrior Gym representative looked right at home among the world’s elite martial artists in ONE, and his future looks bright.